Why study at University of Gothenburg? In many fields, research at Sahlgrenska Academy is of the highest international class. Semester periods: 1st of September to 15th of January and 15th of February to about 20th of June. During one study year 4 courses in Community medicine is given- during any of these periods an Erasmus student can participate. Electives are possible outside of these terms, at any time. Swedish doctors understand English quite well; some do as well understand French and German. For the studies and the two weeks at the health centre, it is necessary that the applicant speaks a bit of Swedish. Many patients do also speak English, but most have Swedish as their only language. 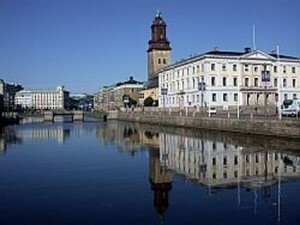 The international secretary in Göteborg can give advise on intensive courses in Swedish before or during the period.